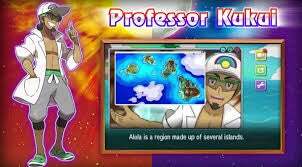 I hate the characters of the Professor and Lillie. Professor sorry needs to button his shirt. Its kinda creepy. Lillie “oh come rescue me, my Pokemon and I cannot walk in grass”. Of course how did she traverse Route 3 filled with Vullabies. Oh she looks just like Nellie from original Little House on The Prarie. I hated Nellie. Total manipulative bullly. All characters talk way too much. Just let me explore. No gyms. Trials instead. First trial you had to fight three hidden Pokemon. Oh unlike gyms you cannot leave and come back to finish. Fighting mechanism,.the same EXCEPT after first trial wild Pokemon can call other wild Pokemon of same level. Makes it harder. I just rescued Lillie, well really her seemingly useless Pokemon Nebby. Its the first task after the first trial. Vullaby needs to be captured a fairly strong flying Pokemon. Well strongest flyer so far. Its harder so far compared to Pokemon X. The characters have more depth then previous Pokemon but far more annoying. Especially Nellie.I mean Lillie.